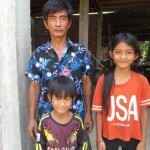 Mama AOM and her family are celebrating after Asha received a loan to start her own tailoring business. 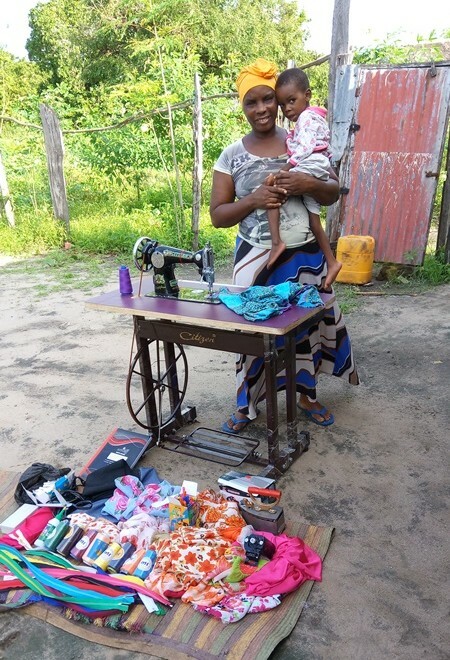 She began a 6-month training course to become a tailor and is excited to take the first step towards her dream of runnning small tailoring business. Eventually she hopes her business will include wholesale tailoring supplies, tailoring services, and decorative sewing services. 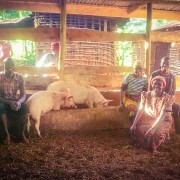 This business will enable Mama AOM to earn an income to support her family, improve their home, and move KCM towards financial self-reliance. 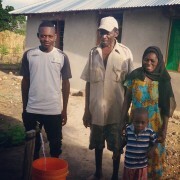 Since she will be working from home, Mama AOM is looking forward to being able to spend more time with her four-year-old son, Bashiruni, who has cerebral palsy. 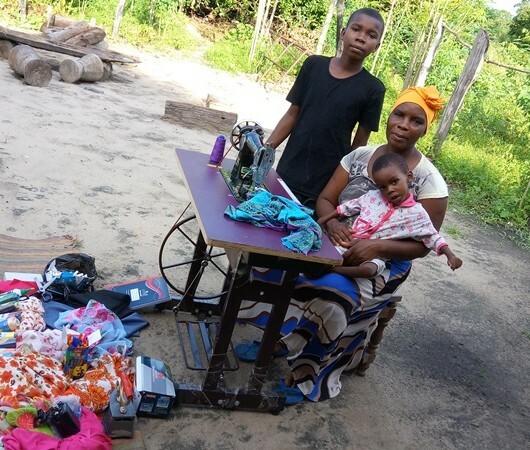 Because Kindwitwi and the two villages nearby do not have any good tailoring services or a wholesale supply store, Mama AOM is hopeful that her business will be popular and attract many customers. Mama AOM predicts that business will be slow from February to June due to the nature and work of her customers who are mostly farmers, fishers, and public and private servants. From July to January, however, she thinks she will have more business since 90% of her customers are Muslims and will want nice clothes for the holidays. 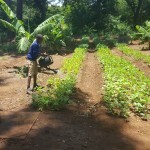 Farmers also tend to have more money during this period after they sell their crops. 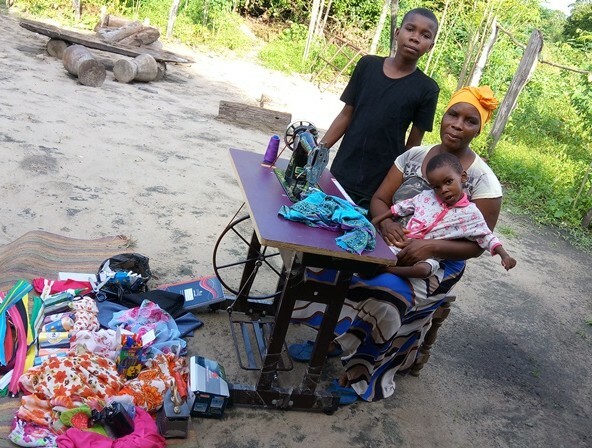 After completing the tailoring courses and starting her business, Mama AOM hopes to save enough money to help her oldest son, Omary, purchase a tailoring machine of his own. Since Omary was not able to continue his education after primary school, he plans to learn to sew work alongside his mother. 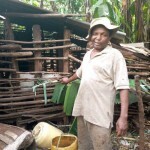 Mama AOM hopes that Omary will continue to learn self-reliant skills and one day have his own wholesale business.